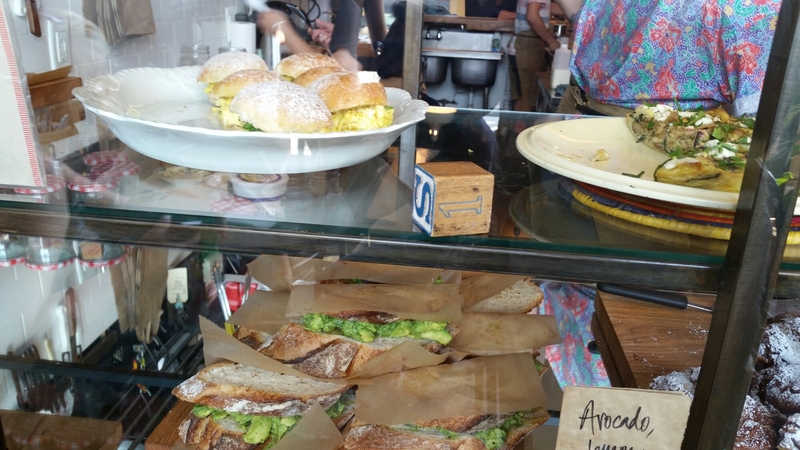 Categories: Uncategorized | Tags: Avalon Bakery, bakery, breads, coffee, Detroit, orgainc, stolen | Permalink. Kenny, myself and the kids spent the last 10 days in the Midwest visiting the Detroit Metro area and Chicago, IL. 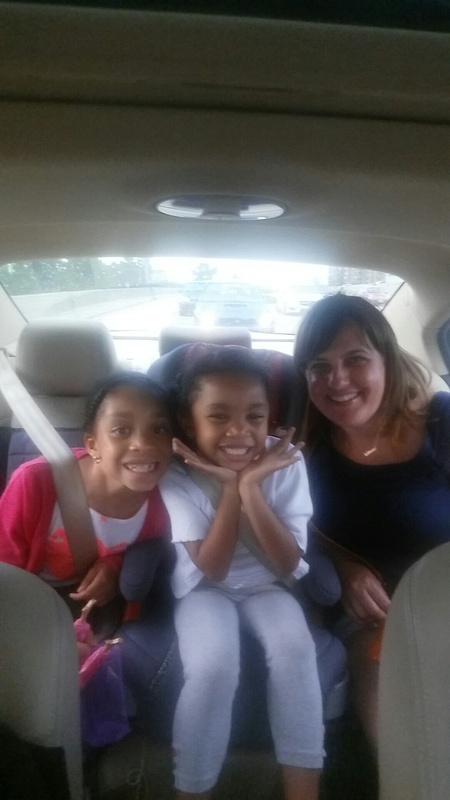 We had an amazing time with friends and family. 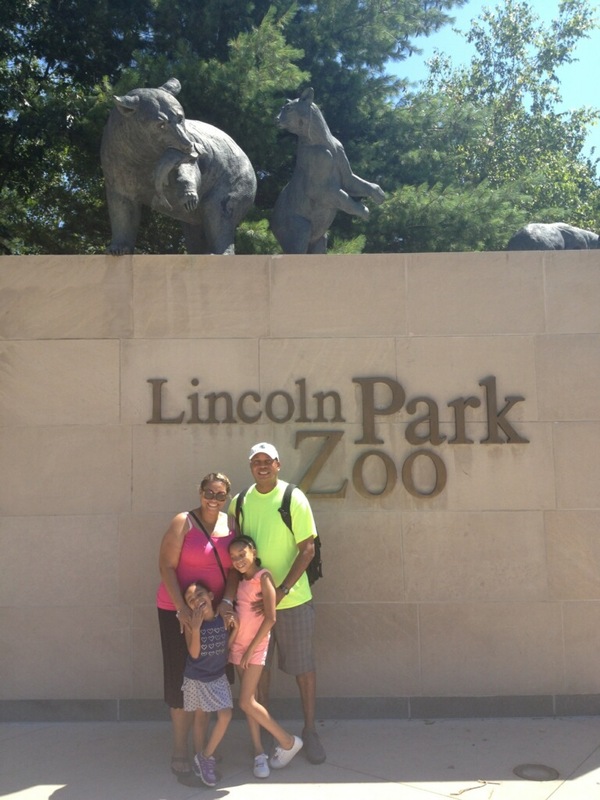 Some of the Chicago highlights were going to the 31st Beach, The Lincoln Park Zoo, The American Girl Store, Giordano’ Pizza and Karyn’s Fresh Corner. We enjoyed some great coffee in Chicago. 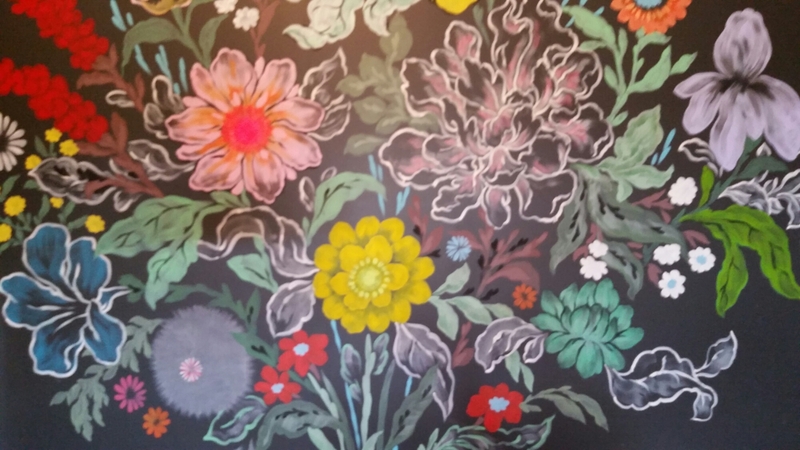 Gaslight Coffee Roasters: Located in Logan Square is an eclectic cafe with very random decor and excellent service. We ordered many items from the menu and since I’m the “blogger” I got to taste everyone’s coffee and food! Pretty Sweet…right? 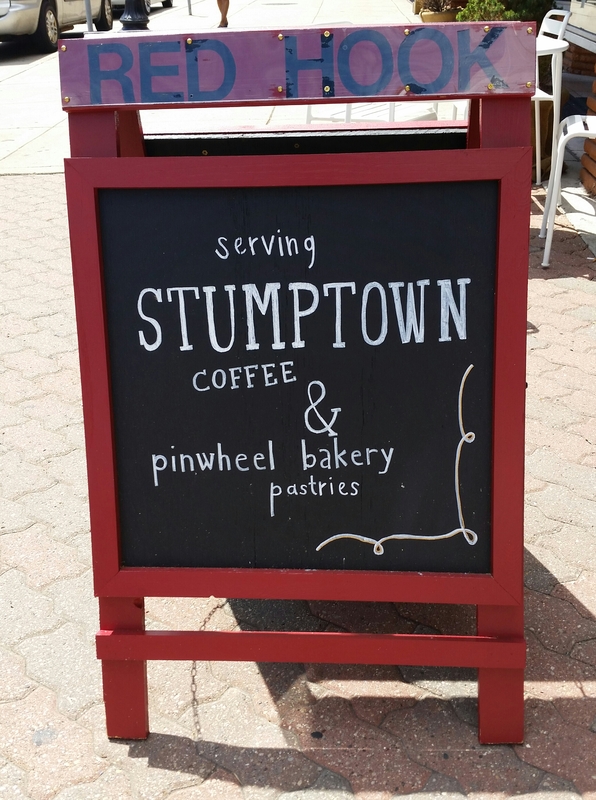 Our friend Heather had a smooth Soy Latte and a tasty Bacon and Brie sandwich. Kenny and our youngest daughter (Dayley) had the Pesto Grilled cheese Sandwich. It was really good. Kenny also had a Cold Brew that was rich, full of earthy notes and had a great finish. Our daughter Dia had a breakfast bowl like no other! It was slightly spicy with rice, bacon, sausage, scrambled duck egg and topped with a fried duck egg. Now, I have to say that is the best breakfast bowl I have ever had. Yummy! I had a Brazilian Slow Bar. This is Gaslight’s version of a Pour Over. It was very good and I Iced it so that I could take it to go. So good! The doughnuts were some kind of good! Especially the cardamom glazed. It definitely takes the traditional glazed doughnut to another level!! We ended our Chicago trip by going to Cafe Mushtashe. 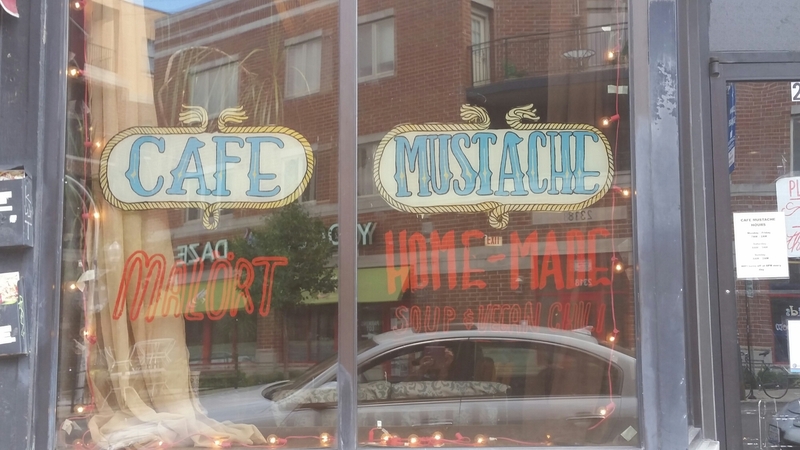 This cafe, lounge and music venue has a very chilled atmosphere and is also located in Logan Square. As I waited for my Peppered Fig and Vanilla Latte, I listened to Louis Armstrong and noticed that no one was interacting or talking to each other. I found the lack of interaction a bit odd but oh well? The room was dim and the overall feel was hipster. By the way, this has to be the most interesting flavor combination for a Latte I have ever had. It was pleasantly good. 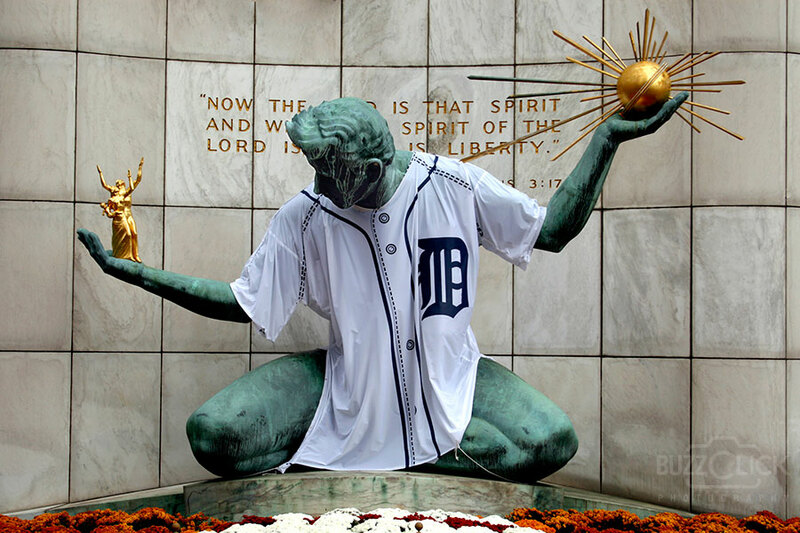 Despite it’s slow come back, Detroit continues to have charm and promise. Beyond the blight, eye sores and homelessness there are good finds, beauty and chatracter for the whole family to enjoy. 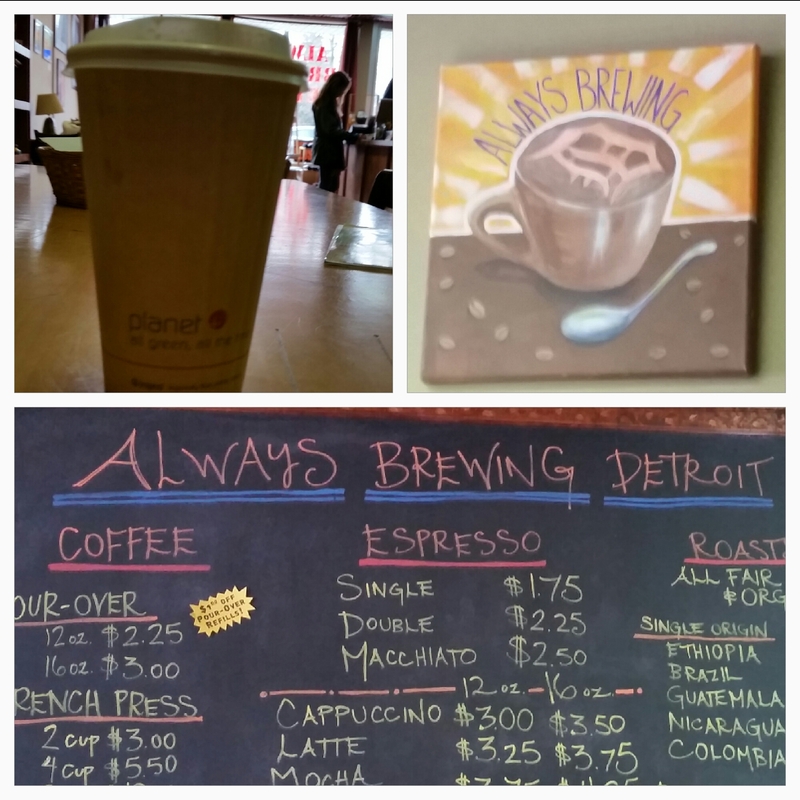 As you may have read here before there are some really exceptional coffee houses in the Detroit Metro Area. 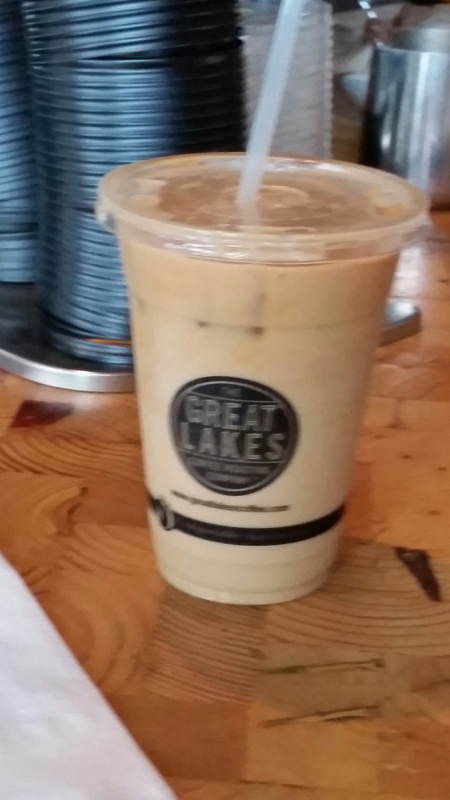 On this visit we had the pleasure of going to Great Lakes Coffee located in Midtown. Can I just say this is my kind of place? I walked into this coffee and wine bar finding myself grooving to Regulate by Warren G and Nate Dogg. For the record, Kenny tells me that I haven’t listened to the lyrics of this song and that otherwise I wouldn’t like it. Probably not my thing but the music is amazing, so I’m going with it LOL! 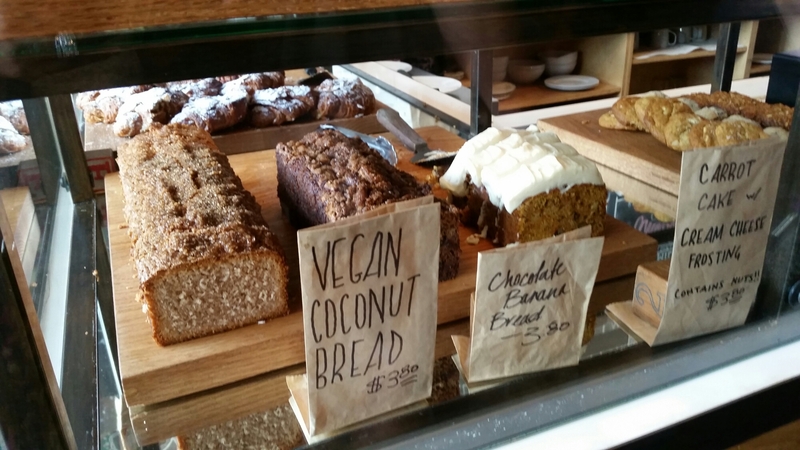 We enjoyed Cold Brew, a Lavender Latte, Lavender Ice Tea and a Vegan Granola bar made by Avalon Bakery (also featured on this blog). All were very delisious but oh my goodness this Latte had an unexpectedly great flavor. 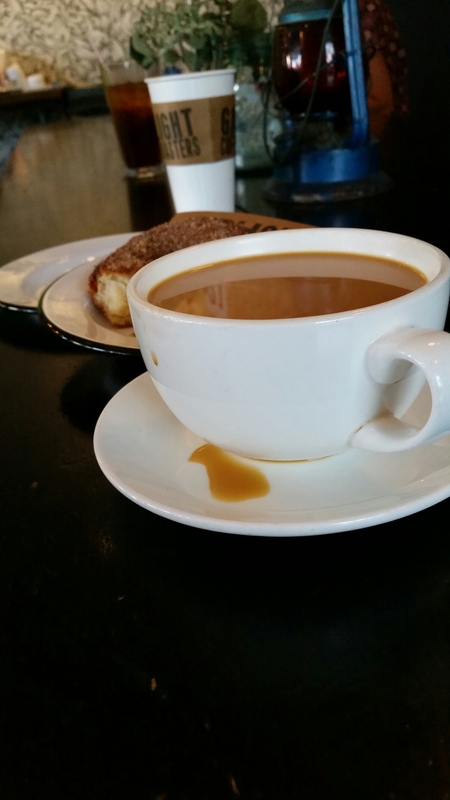 I would have never expected to pair lavender simple syrup with coffee but it was Delish! It totally worked. The menu at Great Lakes is pretty extensive. One interesting item is a beverage made with half beer and half coffee. Different. Right? We will definitely go back there. So many things to choose from. Great Atmosphere. We ended this trip with a bang by visiting Astro Coffee located in Cork Town. As we drove up, I immediately noticed lots of customers hanging out enjoying this Beautiful Sunday morning and taking in all that this House to bring. Something told me Astro would have the “It” factor! It did! 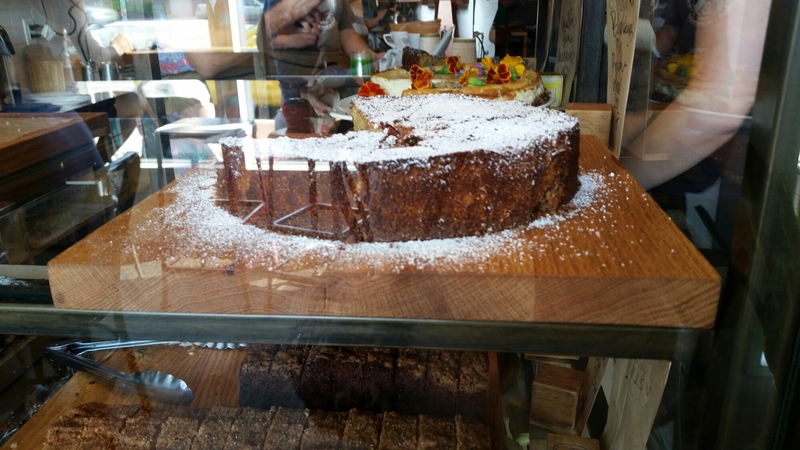 We enjoyed Cold Brew, Mocha Lattes (featuring Calder’s Dairy), Lemon Ginger tea, Polenta Plum Cake and Vegan Coconut Bread. To sum it up, I found myself in Coffee Heaven. EVERYTHING was exceptional. Just Delicious. Simply Spectacular! This chalk art was breath taking! Put these places on your Midwest Bucket List! You will be pleasantly surprised. 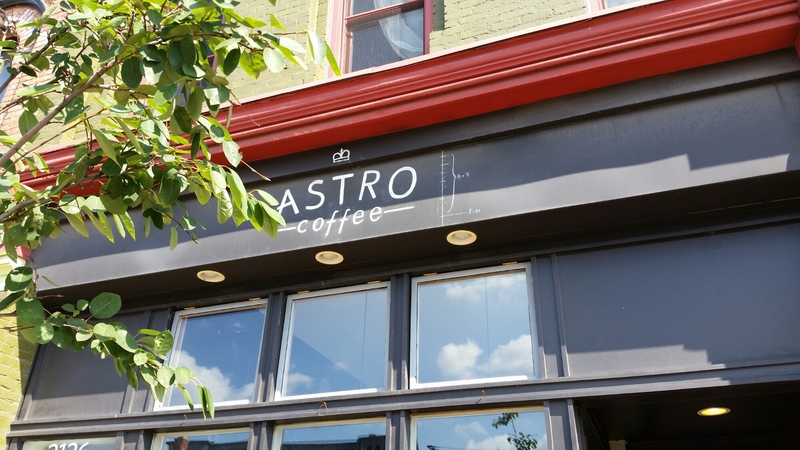 Categories: Uncategorized | Tags: Astro Coffee Roasters, Beach, Cafe Mushtashe, cake, Calder's Dairy, Chicago IL, coffee, Detroit, esspresso, Great Lakes Coffee, Karyn's Fresh Corner, latte, MI, pastries, Pizza, Polenta Plum Cake, tea, Vegan Coconut Bread | Permalink. Have you ever been to Ferndale MI? It’s a quaint little city just outside of Detroit. 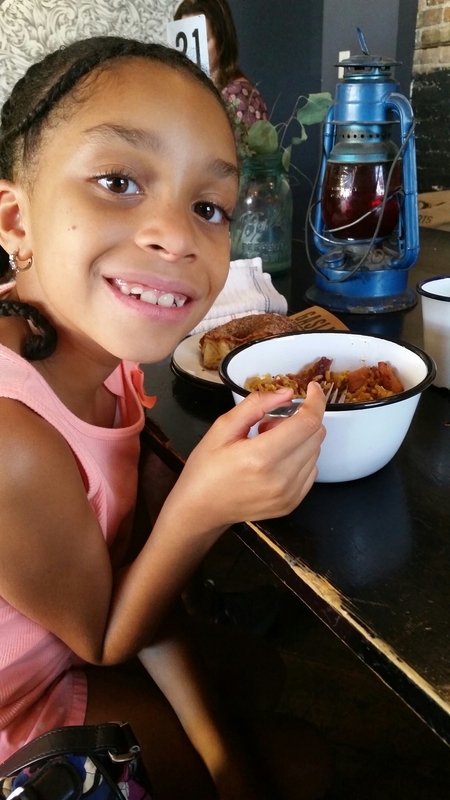 A recent family trip took us to Detroit and we stumbled across Red Hook Coffee House. What a great find!!! 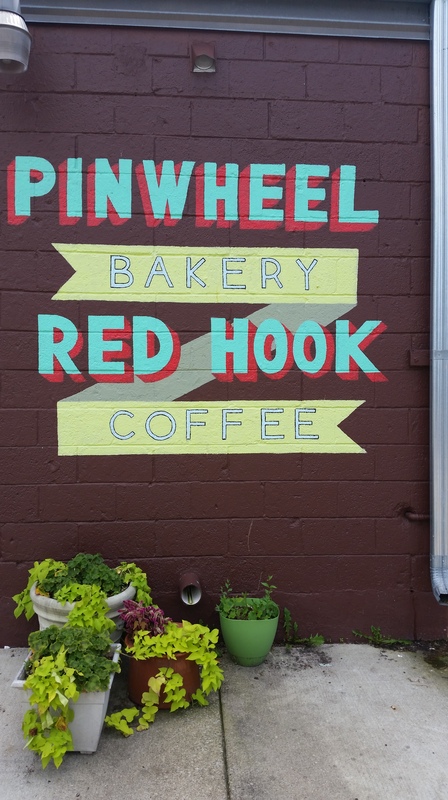 In partnership with Pinwheel Bakery, Red Hook opened its doors in 2010 offering exceptional and freshly roasted Stumptown Coffee. They serve single origin coffee that is roasted weekly and prepared per order. This process makes for the freshest cup of coffee. Red Hook has a pretty solid menu serving cold press coffee and regular brews. The Pinwheel pastries are amazing too. 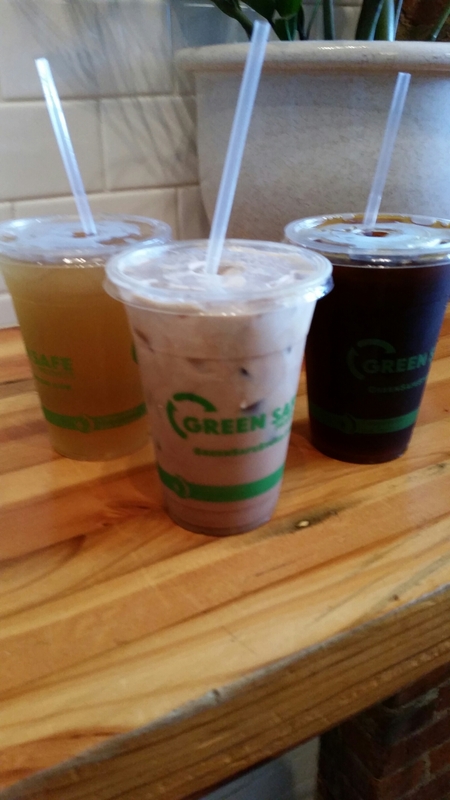 On our visit we shared an awesome cold brew, chocolate cake with salted caramel icing, a vegan molasses cookie and a sea salt chocolate chip cookie! Everything was delicious and the the customer service was exceptional. The barista was very professional and courteous. He took time to explain the menu and make suggestions based on our palate. Categories: Uncategorized | Tags: chocolate, coffee, cold brew, Detroit, Ferndale MI, java, MI, Pinwheel Bakery, Red Hook Coffee | Permalink. Eclectic Charm: Is the best way to describe Fourteen East. 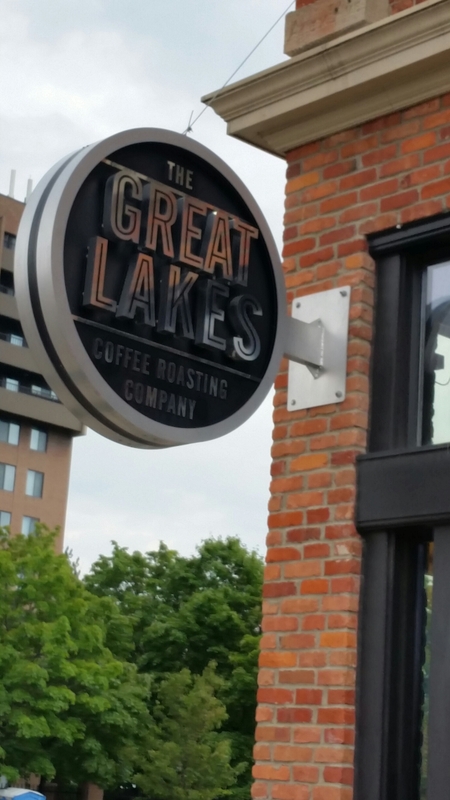 This coffee house is located in the Historic Park Shelton (luxury apartments) in Detroit, Michigan and is beyond what you would expect when looking for that good ole’ cup of Joe! 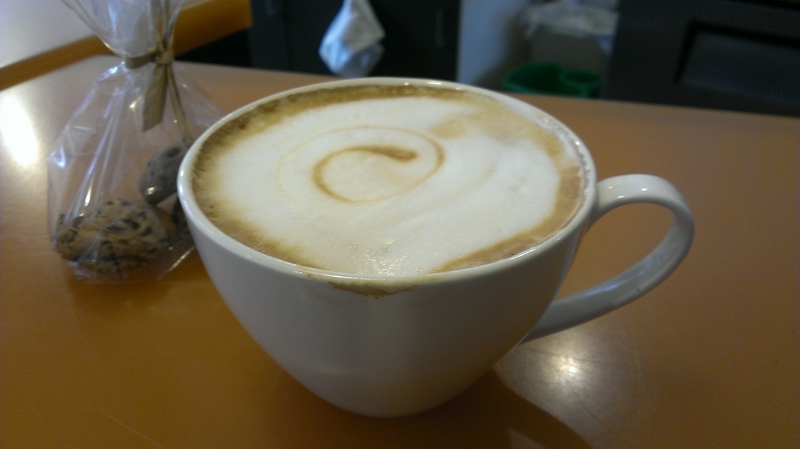 I had the Cappuccino! It was spot on in terms of the balance of espresso, steamed milk and froth. Very tasty! I also had the Ricotta Lemon Cookies and they were delish! If you are ever in Detroit, this is a place you should check out. I am very glad my friend told me about this little jewel in Mid-Town. 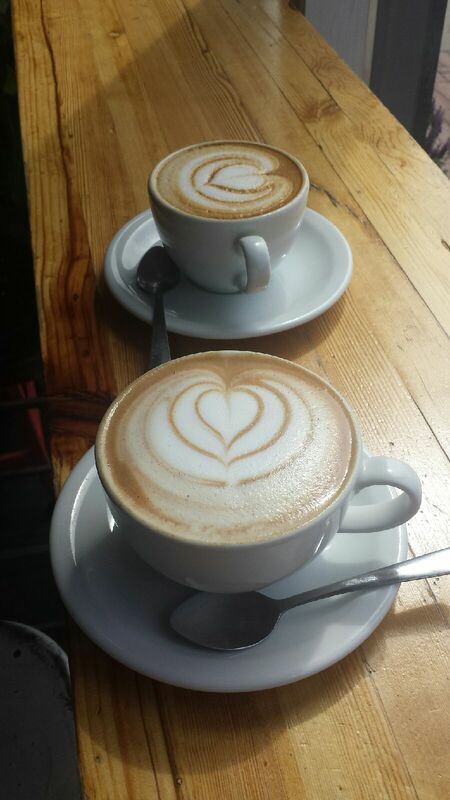 Categories: Uncategorized | Tags: 14 East Cafe, cappuccino, coffee beans, coffee house, Detroit, espresso, java, Michigan, Mid Town Detroit | Permalink.